﻿ Coffee Pots, Airpots, Thermal Carafes - Which One is Best? Coffee Makers USA » Coffee Pots, Airpots, Thermal Carafes – Which One is Best? Coffee Pots, Airpots, Thermal Carafes – Which One is Best? So, you’ve decided to get a new coffeemaker. 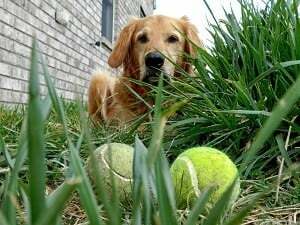 That’s great, but there’s more decisions to be made. Do you want a regular brewer with coffee pots, and airpot brewer, or a thermal carafe brewer? This is one of the most serious considerations when buying a coffee brewer, so we’ll jump right into the advantages and disadvantages. They’re traditional – coffee pots, also called decanters, are what people know and are used to. Easy-to-use – just pick up and pour. Transparent – it’s easy to see how much coffee is in a coffee pot. Breakable – most coffee pots are made of glass and are breakable. 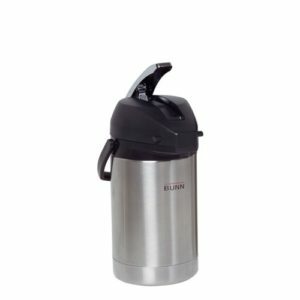 The exceptions are stainless steel decanters, which are becoming harder to find since Bunn stopped selling them, and Bunn Easy-Pour Decanters, which feature a stainless steel bottom and a practically-unbreakable plastic top. Coffee Flavor – coffee pots don’t retain heat must sit on a water. Continually applying heat to coffee affects the flavor compounds in the coffee and turns it bitter. Coffee Warmers Can Get Left On – many newer coffee brewers feature automatic warmer shut-off, but there will always be stories of coffee warmers accidentally being left on all weekend. Coffee Flavor – airpots keep the coffee hot without applying heat to the coffee. Therefore, the coffee tastes fresher for a longer period than with coffee pots. Portability – since an airpot does not need a warmer, the airpot can be taken to where it will be used. It can sit on practically any surface. Saves Room – the coffee brews directly into the airpot, and the airpot does not need a warmer. So, a regular coffee brewer with 3 coffee pots with require 3 warmers, but an airpot brewer used with three airpots will not require extra counter space for warmers. Breakable – airpots come with either a glass or stainless steel liner. The glass-lined airpots will break if dropped. The stainless steel ones can lose their vacuum seal if dropped too hard. Not Transparent – there is no easy way to tell how much coffee if left in the airpot. Dispensing Coffee – some people find the process of pressing down on the top of the airpot to dispense coffee tedious. Coffee Flavor – same as airpots – not heat means better flavor. Portability – same as airpots – coffee can be taken where needed. Saves Room – same as airpots. 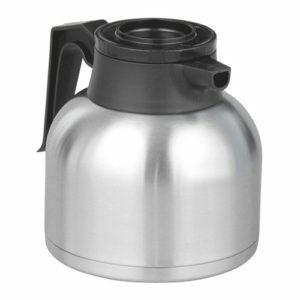 Larger Batch Sizes – coffee pots and airpots are basically designed for use with brewers that brew half-gallon batches. Thermal servers come in sizes from .5 to 3 gallon, so the batch sizes can be much larger. Volume Gauges – most servers have some kind of gauge that says how much coffee is left. Cost – thermal carafes and servers generally cost more than coffee pots or airpots. In the end, there’s advantages and disadvantages to any choice. You should be better informed now, though, and an informed choice is better than a bad choice.